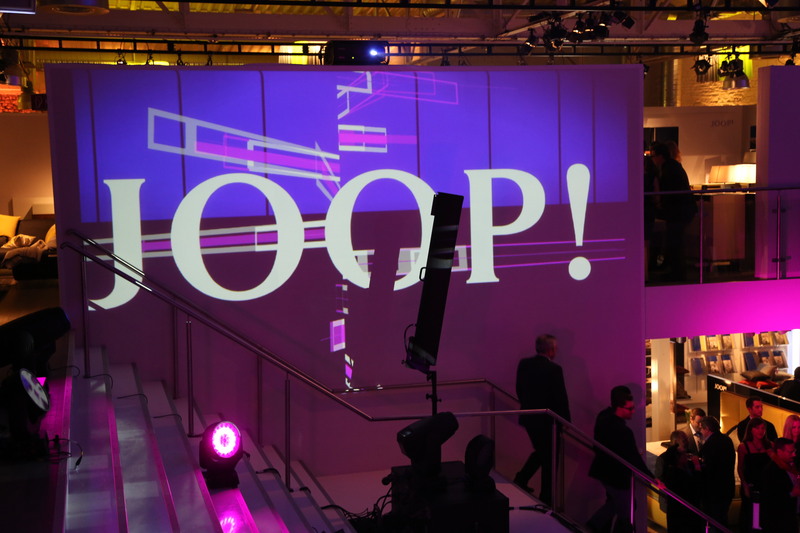 This year’s JOOP! 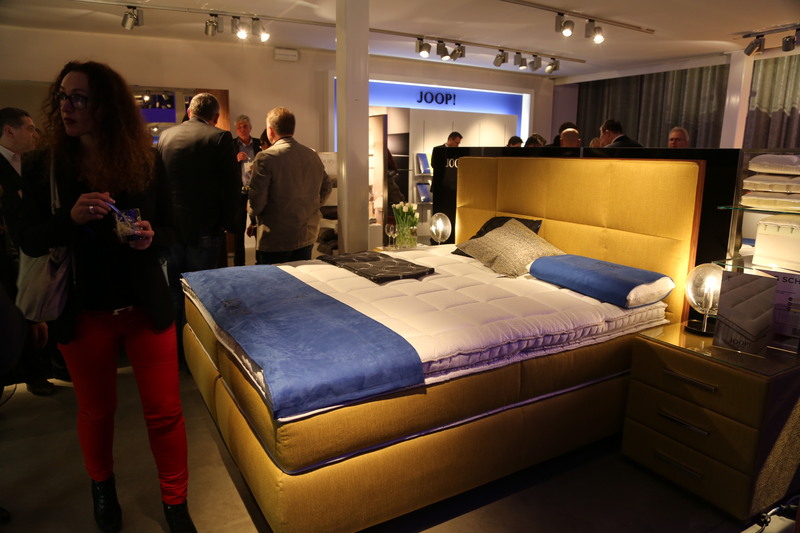 LIVING event that traditionally kicks off the furniture fair in Cologne was a split-level affair. 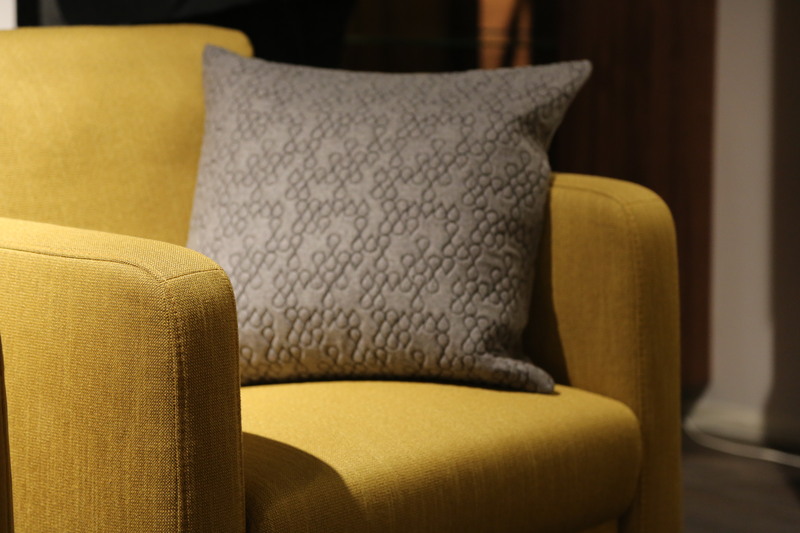 Whilst the big guys were wined and dined in a séparée, the rest of the furniture crowd had the (ironic) experience of a miniature furniture store opening – complete with german schlager music, curry wurst, mini burgers and beer. We really enjoyed the slogans for “the biggest furniture store in Köln-Deutz” which was “just hours away from the grand opening” and would have “many great offerings”. What a laugh. 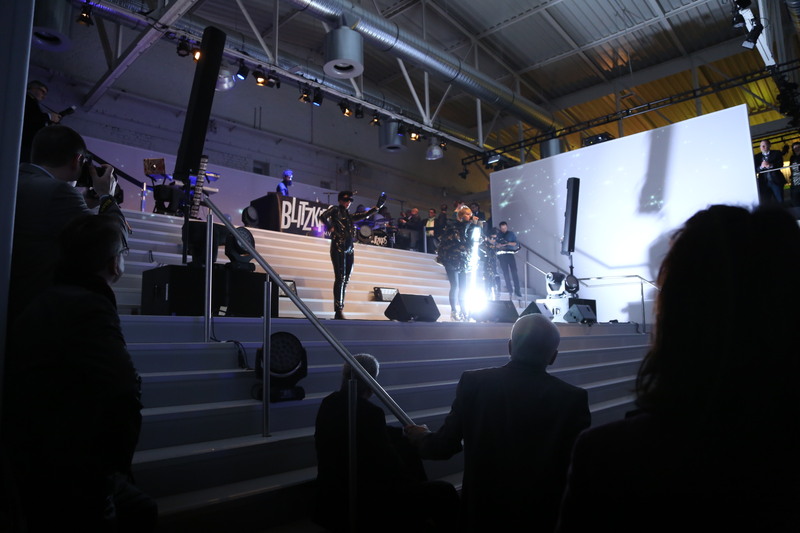 Later in the main hall Blitzkids gave a stunning 80ies inspired performance including eye-popping graphics. It was a relief to hear this after the german Schlagers. 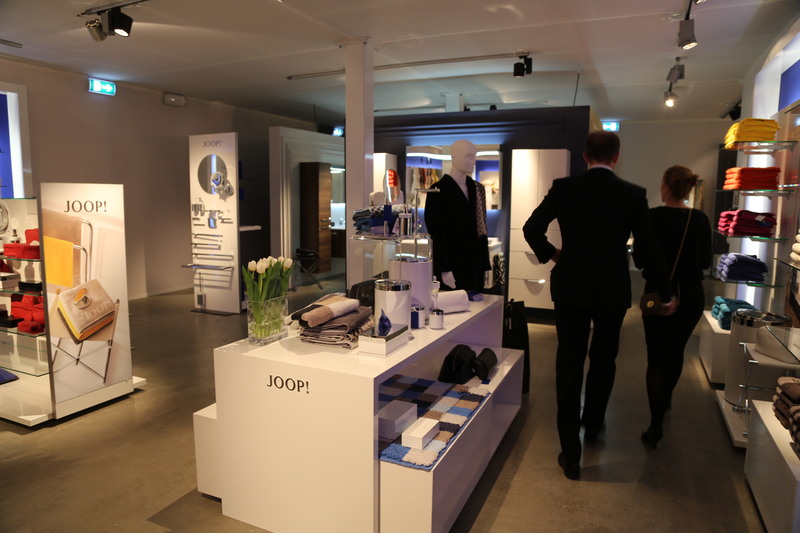 The exhibition was less flashy than during the last events but served the task to show how JOOP! LIVING can be displayed in a limited space. JOOP! is a classy but modern lifestyle brand and has proven its status once again. Thanks for the invitation. 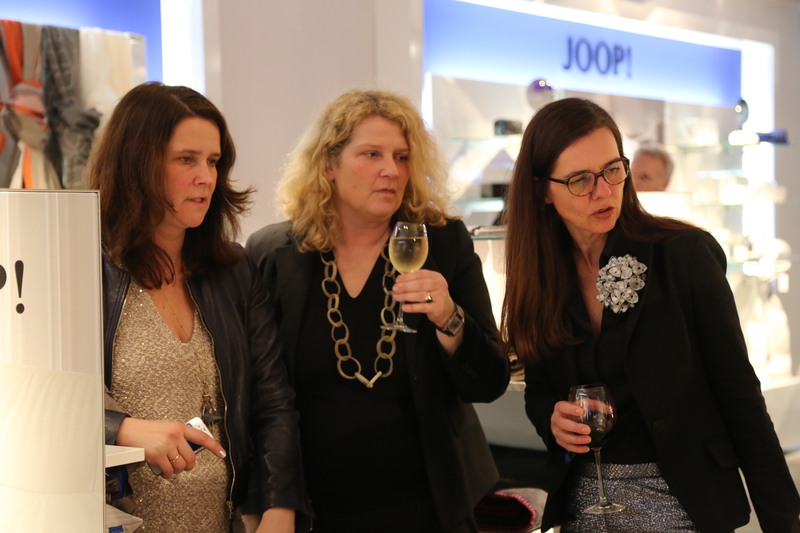 This entry was posted on January 29, 2014 by Chef de Cuisine in Fairs, Home Collections, Uncategorized and tagged Bed + Bath, Bed linen, Event, Furniture, Home collection, JOOP, JOOP! LIVING.